Alright, so I'm tired of my crappy standard low beams. I drive out in the country alot and the deer are starting to creep out of the fields, and frankly, my deer whistles just are not cutting it. So, I was wondering if it is possible to just get some new Xenon / Halogen, whatever the bright white ones are. If I just just get them, place them in the headlight casing, then plug and play. I know that the Xenon HID needs a conversion or something, but I was wondering if there is anything that would fit, so that I just need to take out the old bulbs, and plug in the new ones. Again, a 1990 Accord EX, no mods installed, just the standar bulb -> connector. All I want are the nice, bright, white bulbs, with no modding / kit needed. Last edited by Nickriggi; 06-14-2014 at 09:58 PM. 08 Accord Coupe EX-L - Looking for Xenon/LED Lights - Suggestions? 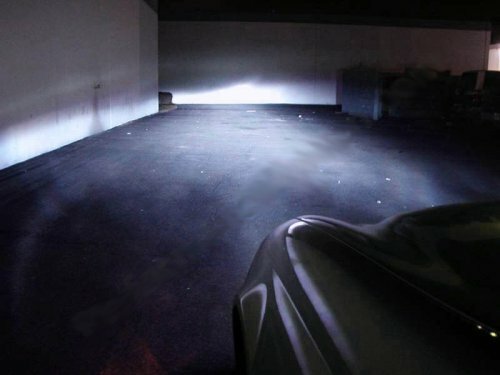 What are some good brands for HID xenon lights?